It’s that time of year when the sun is shining and a huge amount of outdoor events such as fetes, garden parties, carnivals, music festivals and private parties take place, many of which need outdoor furniture hire in the form of patio tables and chairs, especially when you are catering for larger numbers of guests. Here at Event Hire UK, we’re able to offer a wide range of patio chairs and tables, both hardwood patio sets and plastic patio sets, and even teak and aluminium garden patio furniture hire. It’s the fact that we’re able to provide such a range and in the quantities needed that event professionals turn to Event Hire UK during the summer months and indeed across the year when it comes to furniture hire for outdoor events. And it doesn’t just stop there. If you take a look at our wider range of outdoor furniture rental products, you’ll see that it is extremely comprehensive and diverse, offering something for everyone. If you’re worried about the summer sun not shining, then we offer gazebo hire. Likewise, if you’re thinking that your guests might get chilly when the sun goes down, why not hire patio heaters, of which again we have a number of different styles. 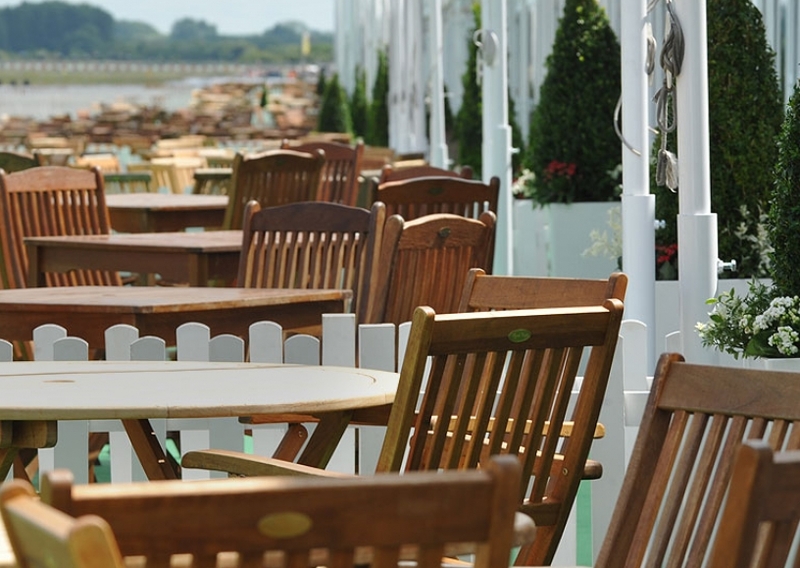 And what about other outdoor furniture hire products such as outdoor rattan armchairs and sofas, picnic benches for those larger events and even picket fencing for marquee companies and so on. You can hire hardwood patio sets in the quantities you need along with other outdoor furniture hire products right here at Event Hire UK. Our expert sales team are on hand to provide you with valuable assistance and make sure that your event is catered for with the best furniture hire in the best way possible.